I used the welder in anger for the first time today. This is not really about the Jeepster but since rust repair is about to become my focus it is at least a little interesting. 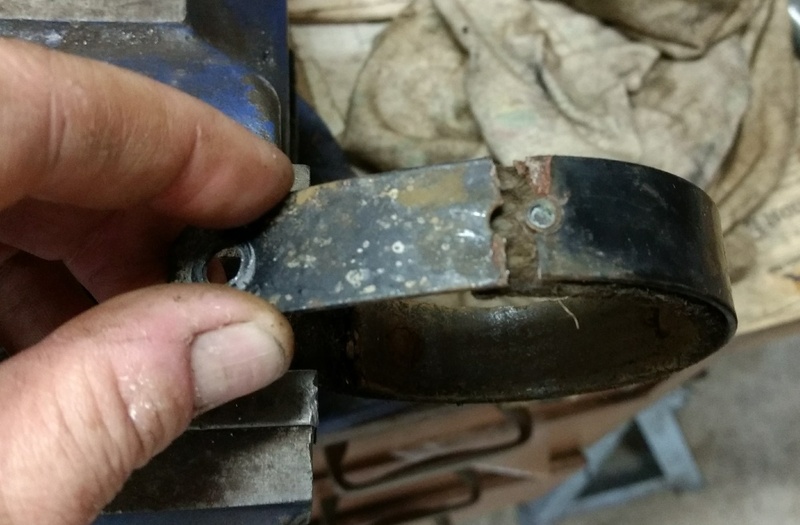 What we are looking at here is the brake band for my 1967 Simplicity lawn tractor. I bought this almost 30 years ago for $50. I then put about $150 in bearings and parts into it and have been mowing and plowing with it ever since.